Posts tagged "The Ryuo’s Work is Never Done"
The brothers are back in the season 4 premiere of Aniki! With the new season comes a new format covering your favorite series in a single episode. 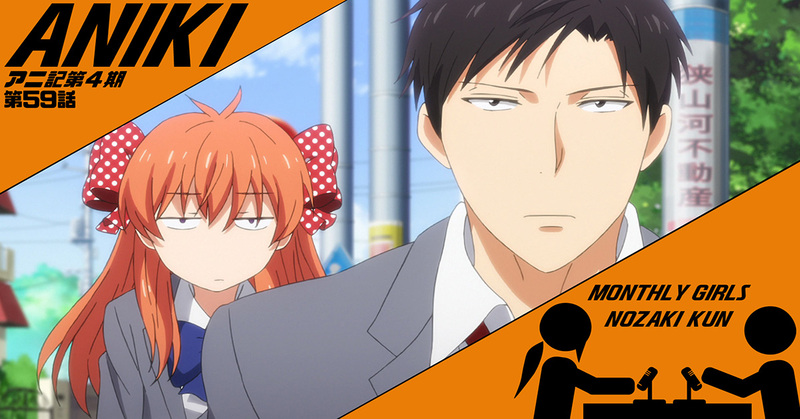 First up on the docket is Monthly Girls’ Nozaki-kun (Gekkan Shōjo Nozaki-kun). Ben and Jon wax poetic on their favorite send-up of the world of manga writing, shoujo manga, and high school romance. They also debate the dynamic of the relationship between Sakura and Nozaki as the series progresses. Also featuring: Kokkuko, Darling in the FranXX, and The Ryuo’s Work is Never Done.